Building an appreciation for performing artists and their own special needs, while promoting the best possible care. Enhancing the prevention and understanding of medical concerns for performance artists through the development of educational programs. Fostering effective communication between the many professionals who are involved in promoting well-being and providing health care to those in the performing arts community. 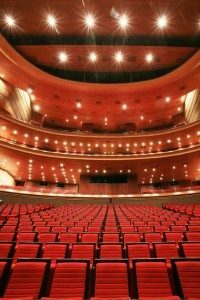 Conducting research into common medical problems in the performing arts community that is focused on treatment, prevention and rehabilitation. John F. Kennedy Center for the Performing Arts Urgent Pre-Performance Treatments. At Advanced Integrative, we specialize in providing integrative medicine in Washington DC that emphasizes prevention and health maintenance. However, after an injury or when you’re dealing with anxiety, an illness or acute pain, urgent treatment — such as chiropractic or osteopathic manipulation, acupuncture or traditional medical treatment — may help you successfully complete a performance, audition or recording session. Urgent treatments may take place at our clinic, or in some cases, at the Kennedy Center. Please call (202) 296-3555 for more information on scheduling an urgent treatment, or to learn more about our dedication to the performing arts!